Love WordPress? We do! This is why we are a proud sponsor of WordCamp Portland, being held September 17th and 18th at the Eliot Center in downtown Portland. What’s WordCamp you ask? WordCamp is a conference (actually it is an “un-conference”) that focuses on everything WordPress. This is an informal, community-organized event for casual users and core developers to participate in and share ideas. As a sponsor, we want to offer you an opportunity to attend this weekend’s event for free. Leave a comment below on why you want to attend for a chance to go on our behalf. Being a Search Engine Marketing agency, we’d have to say that the All In One SEO plugin is our favorite. It is robust, flexible and has just about every search optimization feature you could ask for. We also like WPtouch, which with little to no effort will create a mobile WordPress blog for you. Make sure you set up social sharing buttons, widgets and plugins for your blog. This is especially important for enabling Facebook “Likes”, Twitter “Tweets”, Google’s “+1s”, and LinkedIn “Shares”. Social engagement metrics are now being figured into the Google and Bing search engine algorithms, and the extra traffic and exposure that you get makes adding them very worthwhile. Also, write your blog with the “HTML” tab selected. In our experience, switching back and forth seems to occasionally mess the coding up. Other than cute cat videos? Clients that understand that to be successful online, it is no longer just about rankings and sending traffic to their website, but also about conversions and the entire user experience. Competition is fierce online, and if your potential customer isn’t impressed with your site’s design, or can’t quickly find the product / information they are looking for, they are going to click the back button and go to the next result (your competitor). Clients that realize the importance of good design and usability, and that invest in them are the ones that will find success online. 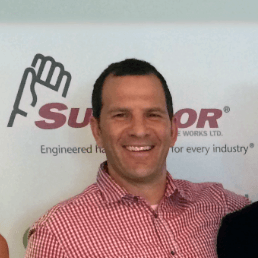 They “get it” and it is inspiring to see them leverage this understanding into growing their business online. We are happy that we can be a part this and help them along the way. Any tips for people just getting started with blogging or using WP? From a search marketing standpoint, if you can’t commit to a blog, then don’t do it. Nothing looks worse than going to a website’s blog and seeing that it hasn’t been updated in over a year. It makes you wonder about the company. Are they still in business? If they can’t commit to writing an article, what other areas they can’t commit to? However, when a blog is done right it can be an excellent resource and will provide tremendous SEO benefits. First off, the new content provides the search engines with new information to index, and new keywords to rank your site for. It’s been said for some time now, but content is still king when it comes to SEO. Another great benefit of an engaging blog article is that is also can serve as link bait. Inbound links continue to play an important role in SEO and good ones are extremely difficult to come by. However, if you are providing content that is unique, informative, or just a damn good read, people will link to it, which should help boost your organic rankings. Do you have a WP hero? The small business owner, who takes the time to implement a blog, learns the right way to do it, is committed to it, and sees success from it. We frequently take on new clients that started off with a homemade blog, or self-designed WordPress site. From this humble start, they have grown their part time interest into a full time career. They are the risk takers, today’s online entrepreneurs. Without them, WebRanking wouldn’t exist. We are also fond of Michael Torbert, the author of “All in One SEO Pack” plugin. He has certainly made our lives easier. What is your favorite restaurant or club in Portland? That’s kind of like asking someone to pick a favorite child. We are so lucky to have so many amazing restaurants, local products and creative chefs here in Portland. I could honestly list 10 to 20 places off the top of my head that would easily be in the running. And that doesn’t even take into consideration the local beer scene. Being here in Sellwood, having to pick just one, I’d say that Jade Teahouse and Patisserie is a personal favorite. Amazing food! Why did you choose to support WC Portland? We love WordPress because it allows an Internet novice to set up a personal blog or website, but it is also a powerful tool that can be used to create professional corporate websites. By being free and accessible to so many people, this really helps level the playing field when it comes to getting online. At WebRanking we are always looking for ways to give back to the community, to educate and to promote Portland. 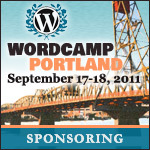 Sponsoring WordCamp Portland fulfills all three of those. It seemed like a natural fit.